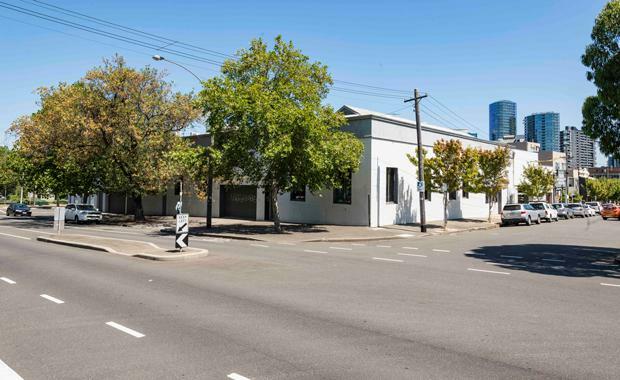 A mixed-use development site on a prominent West Melbourne street corner has sold at auction for $9.4 million. The opening bid for 137-157 Adderley Street started at $5 million, with five local and offshore groups competing for the premium landholding, before a final sale price of $9.4 million was recorded. CBRE’s Victorian Development Sites team, led by Ed Wright, Julian White and Tom Tuxworth, managed the auction on behalf of a private investor. Auburn Property Group successfully secured the 1,597sqm property after outbidding four groups – two local developers and two Asian developers. The sale price reflected a land rate of $5,886 per square metre. Mr Wright said the property’s strategic corner location was pivotal to the sale. “The opportunity to acquire a presence in one of West Melbourne’s most well-known and high profile locations attracted widespread interest from a vast pool of buyers, including both offshore and local groups,” Mr Wright explained. Mr White said the sale marked the ninth major development site deal in West Melbourne over the past 12 months. Mr White said recent planning approvals in the area may have also acted as a catalyst. “Good quality planning outcomes are becoming a regular occurrence in the area, with council having clearly identified the location as ideally suited to apartment development,” Mr White added.